Using both theoretical and language acquisition arguments, this study proposes a new model of the lexicon-syntax interface defined in terms of checking event-semantic features. 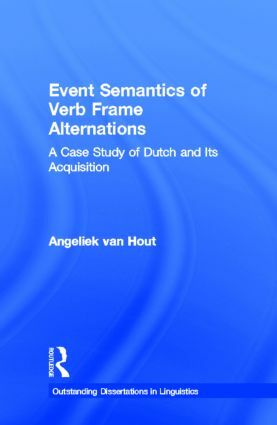 The research is based on Dutch verbs and their possible verb frames (intransitive, transitive, etc.) and two studies of children's Dutch. The model developed from these cases represents more generally the way in which Universal Grammar organizes the lexicon of a language and the mapping system that associates a verb's lexical features with its syntactic projection.